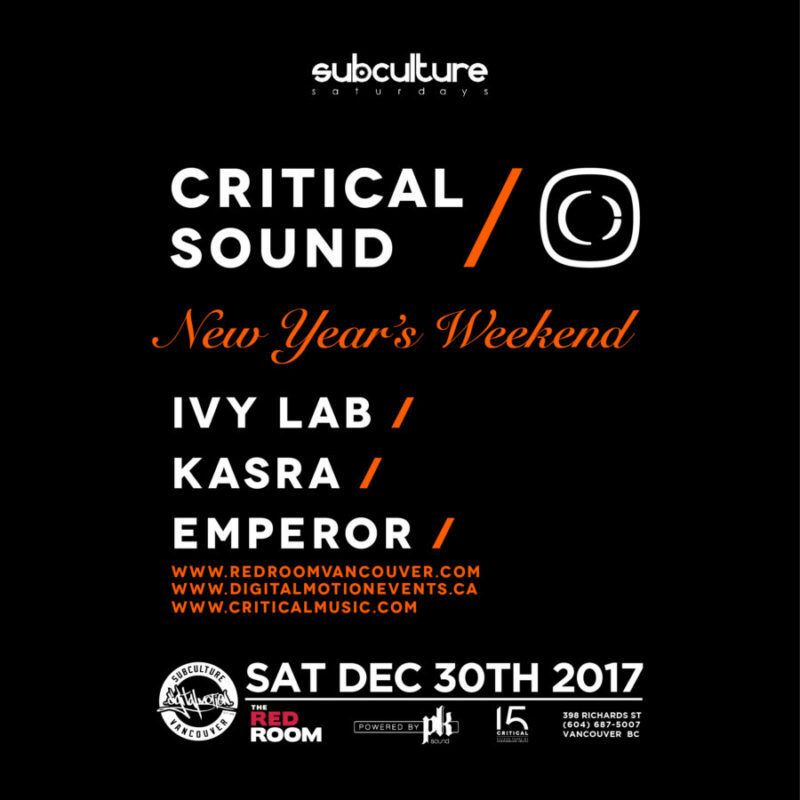 Digital Motion proudly presents The last SUBculture Saturdays of 2017! This is part 1 of our New’s Years celebrations. Join us as we bring you three of Critical Music’s own for a night focused on forward thinking DnB & Electronic music on PK SOUND. Expect to hear a bunch of new music from three of Critical Music’s finest! This is one evening you won’t want to miss. www.digitalmotionevents.ca – Hardcopies at Beatstreet Records & Puff Commercial Drive November 30th. Pre-sale tickets are always cheaper in advance than at the door.